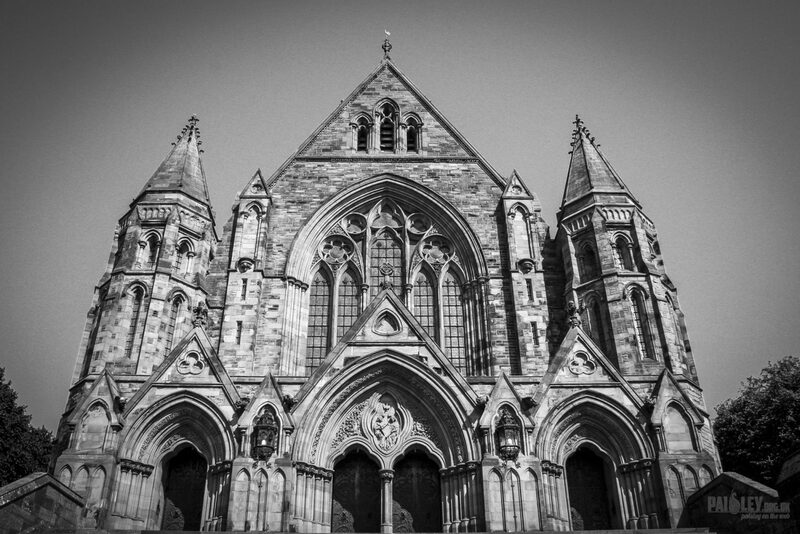 Thomas Coats Memorial Baptist Church, colloquially known as the Baptist Cathedral of Europe, stands at the West end of the High Street in Paisley, Scotland. 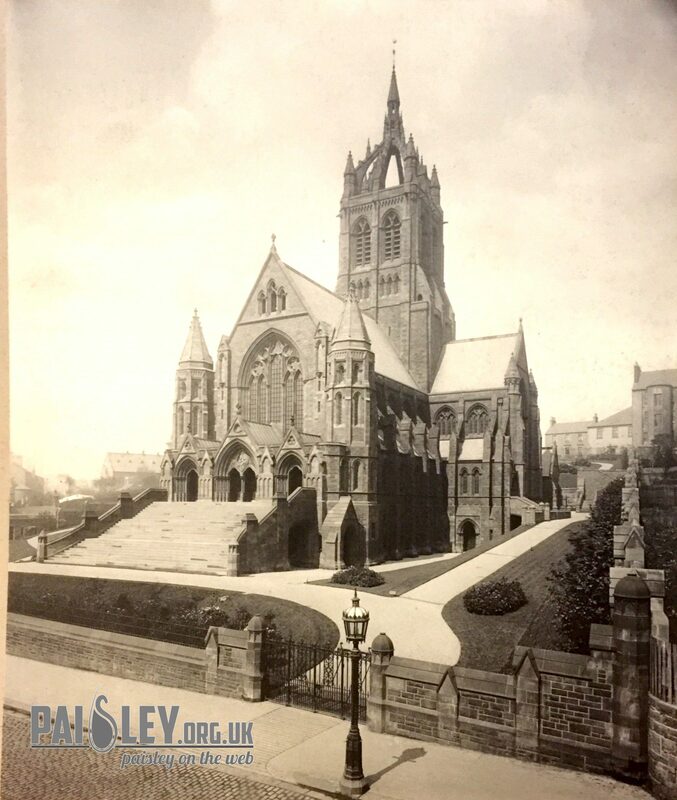 It has been a dominant feature of the Paisley skyline for over 100 years with its striking crown steeple rising to 60 meters (200 ft) above the ground. The church is a category A listed building. The spiritual home of a broad-based congregation in the Baptist tradition, the Church is primarily a place of worship, prayer, music and the preaching of the gospel. As such it offers a welcome to all who come through its great oak doors. The beauty of the building speaks its own silent message. There is the intricate beauty of the wood carvings and the spaciousness and symmetry of the sanctuary. A competition was held in 1885 for the design of the church. Construction commenced in late 1885 and was completed by May 1894. Hippolyte Jean Blanc was successful in securing his design, the magnificent result of which we see today. Today, the church is threatened with closure as a result of diminishing congregation and the cost of upkeep. The church is built in the Gothic revival style in red sandstone, cruciform in shape with flying buttresses along the nave and transepts. The central tower rises to an open crown steeple. At the front a set of stairs lead to three doorways, occupied by oak doors. There is seating inside for almost 1,000 people under the vaulted ceiling. Other features include mosaics, stencilled decoration, gargoyles, carved marble and alabaster. Above the chancel is a vaulted ceiling decorated with paintings of angels. On either side of the chancel the organ with some 3,040 pipes can be seen. Built by William Hill & Sons, the organ is one of only a few of its kind in Britain which has not been modified. The architect Hippolyte Jean Blanc (18 August 1844 – 17 March 1917) was a Scottish architect. Best known for his church buildings in the Gothic revival style, Blanc was also a keen antiquarian who oversaw meticulously researched restoration projects. For much of his career Blanc’s office was at 40 Frederick Street, extremely close to his parental home and their shop. In 1901 the office moved to 1 Rutland Square. From the early 1870s, Blanc began to undertake private commissions. In 1875 he won his first architectural competition, for Christ Church, Morningside, and the following year won a second, for Mayfield Free Church. He left the Office of Works in 1878 to concentrate on his increasing workload, and by 1887 he had taken on a partner, James Gordon. Blanc executed numerous church buildings, including Kirkliston Free Church (1880), St Luke’s, Broughty Ferry (1884), Coats Memorial Baptist Church, Paisley (1885), and Morningside Free Church, Edinburgh (1892), now the Church Hill Theater. He carried out restoration work to Edinburgh Castle (1886), John Knox House (1886), St Cuthbert’s Church, Edinburgh (1892), and St Duthac’s Church, Tain (1896). Secular work includes Mayville Gardens in Trinity, Edinburgh, a pleasant and quirky Victorian cul-de-sac with a low terrace of ornate houses on each side (1881). Other major commissions included houses at Eriska, Argyll, and Ferguslie Park, Paisley (1888–91), since demolished. Bangour Village Hospital, West Lothian, was a competition win in 1898, and he designed the former Bernard’s Brewery buildings in Gorgie (1887). Blanc also designed several monuments. In 1912 he took his son, Frank Edward Belcombe Blanc, into partnership, and from 1913 his own architectural work drew to a close. His son continued to practice under the name Hippolyte J. Blanc & Son, until around 1950. Sir Frank Mears trained under him from 1896 to 1901. Thomas Coats (1809-1883) was a philanthropist and a devoted member of the Baptist Church, who was one of the founders of the world famous J. &P. Coats Company. He was committed to the well-being of his town, being involved in the restoration of Paisley Abbey, and funding projects such as the construction of the Coats Observatory and Paisley Fountain Gardens. After his death in 1883 his close family funded the construction of a Baptist church in his memory. Coats was born at Paisley 18 October 1809. He was the fourth of a family of ten sons. His father, James Coats, was one of the founders of the thread industry of Paisley. In the hands of Thomas and his surviving brother, Sir Peter Coats, the Ferguslie Thread Works became one of the largest in the world. Coats in 1868 presented to the town of Paisley a public park, called the ‘Fountains Gardens,’ as a place of recreation. He took an interest in education, and in 1873 was elected chairman of the school board, an office he continued to hold until his death. He gave large sums to improve the school accommodation, and provided a playground. From 1862 to 1864 he was president of the Paisley Philosophical Institution, and in 1882 he presented to the society the observatory situated on Oakshaw Hill; he furnished it with an equatorial telescope and other instruments, and provided a residence and endowment for the curator. Coats was a collector of Scottish coins, and his collection became the largest and most valuable of its kind. He wanted a catalogue of the specimens, and entrusted the work to Edward Burns, a Scottish numismatist. But in Burns’s hands the catalogue swelled into an elaborate Coinage of Scotland (1887). It was unfinished at the time of Coats’s death. Burns himself died suddenly, and the task of completion was entrusted to George Sim. In November 1881 Coats and his brother Sir Peter were entertained at a banquet at Paisley, and presented with their portraits, painted by Sir Daniel Macnee, P.R.S.A. Coats died of an affection of the heart on 15 October 1883. A statue was erected at Paisley to his memory. In religion Coats was a Baptist, and in politics a Liberal. The Thomas Coats Memorial Baptist Church in Paisley is named in his honour. Now when you see this great, majestic building when walking down the street you might know just a bit more about the building and the men behind it. Text Courtesy of our partners Paisley Mysteries.